Surly didn't begin to describe Clay Cardell. A lifetime of experience taught him not to love and never to trust, but he desperately needed a business manager. What he got was a spunky, high-tempered woman who tilted his world more than a little off-center. 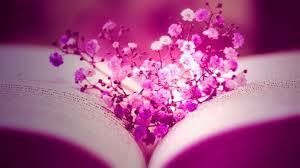 But if he had learned anything in his life, it was to not expect her to stick around. You don't trust a woman, any woman, to not just disappear. Hailey Lambert just needed a shot. Montana was a long way from New Mexico and she just needed one chance to prove she could do the job. 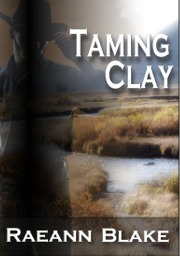 She was warned that Clay Cardell would not be the easiest man to work for. After their initial meeting she thought they might have understated that just a tad. The fact that her heart did some kind of somersault when she first saw him didn't really concern her. If she could deal with the man's attitude, she could certainly deal with some little physical reaction. Right? Well... maybe not. I totally enjoyed this book. It had so many twist & turns that it made it so very interesting. Clay is a person you really want to hate right off the bat. Yet, you get his background & see why he is the way he is with trust being his biggest issue. Then here comes Hailey with a similar background just not as hurtful to the heart. But with the help of Clay's friends & employees who love him Hailey sees beyond what he shows on the top layer & with just enough neediness to want his...moreI totally enjoyed this book. It had so many twist & turns that it made it so very interesting. Clay is a person you really want to hate right off the bat. Yet, you get his background & see why he is the way he is with trust being his biggest issue. Then here comes Hailey with a similar background just not as hurtful to the heart. But with the help of Clay's friends & employees who love him Hailey sees beyond what he shows on the top layer & with just enough neediness to want his ranch & him to call home. Loved all the cast of characters & storyline had you tearful at times with lack of knowledge of true love & relationships & angry at Hailey for taking it so often but do understanding when you see the total picture.